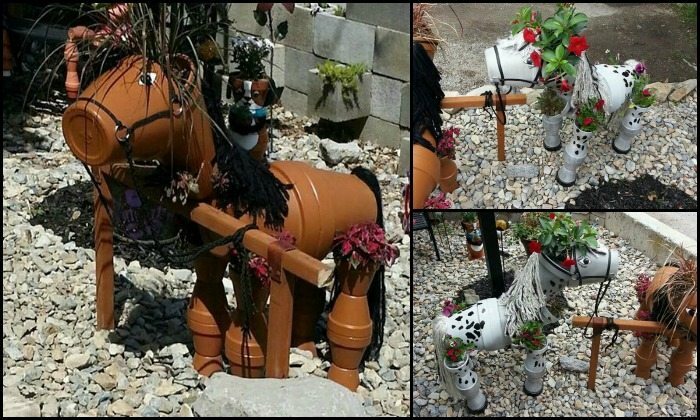 Decorate your garden by making this clay flower pot horse | DIY projects for everyone! If you want your friends and family to frequent your precious garden, you must fill it not only with healthy, colourful plants and blooms but also with adorable decorations! 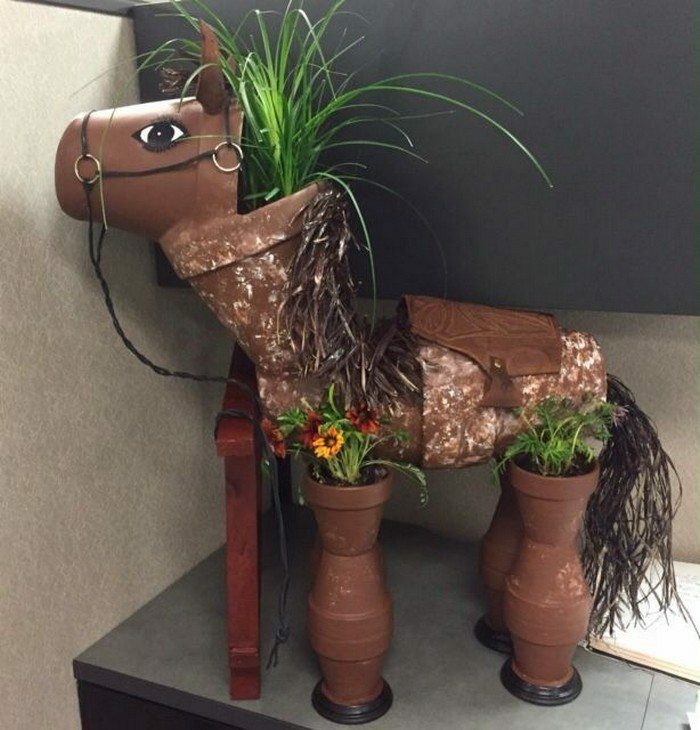 A clay flower pot horse is one idea everybody will surely love! 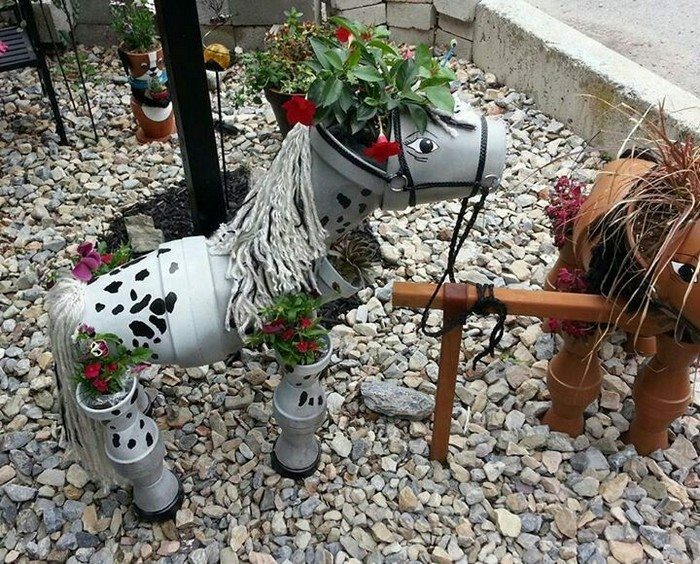 Aren’t these garden decorations cute?? Though some of you might find that it’s not a quick and easy process, we guarantee it’s a fun and happy project to do especially with kids! 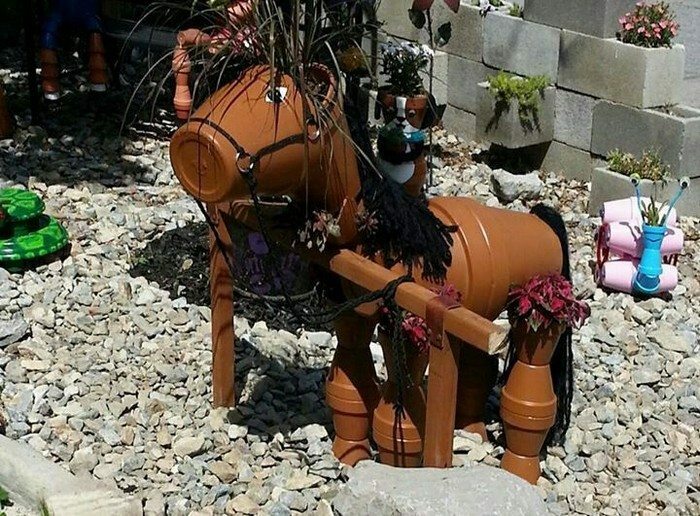 There are several ways to design a clay pot horse. 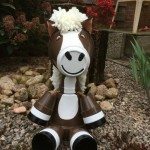 You can choose what colour you want your horse decor to be. 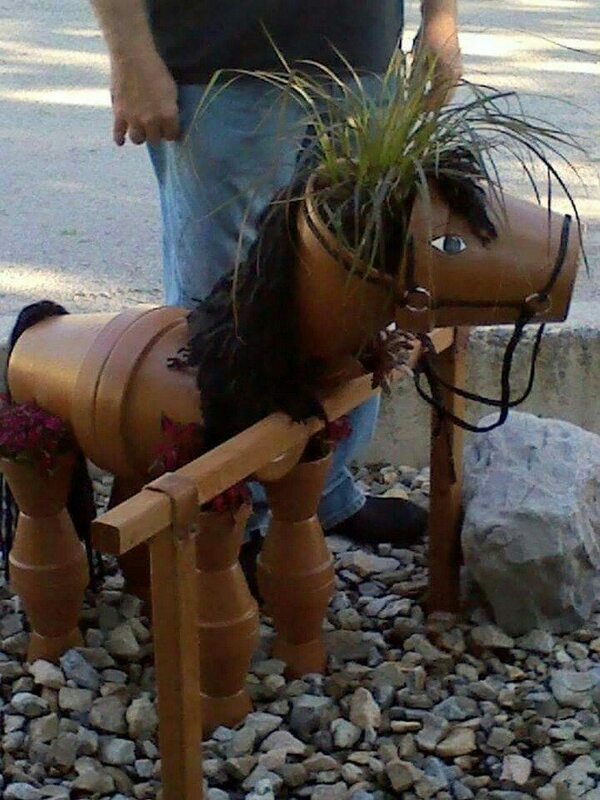 You can use yarn for the mane and tail but real plants look great, too! Some people really enjoyed that they even added accessories. 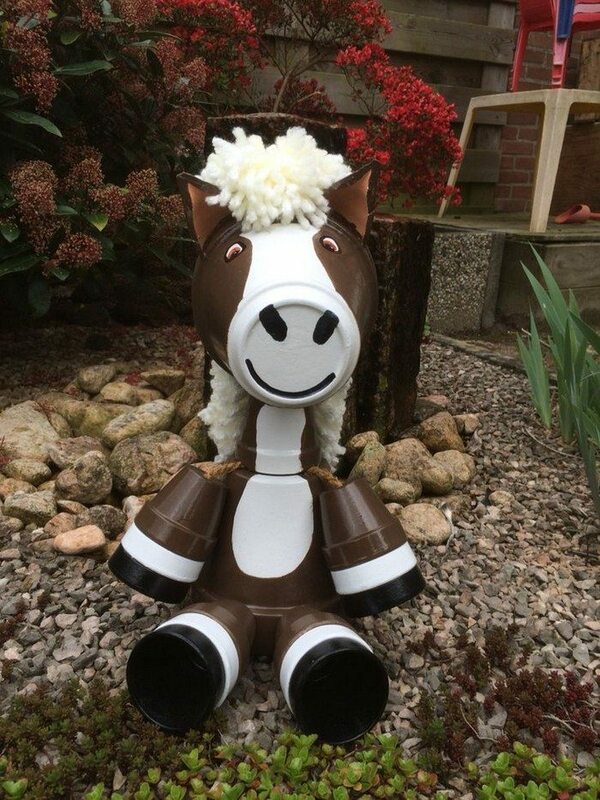 Take a look at various versions from our album below and be inspired to create your own clay pot horse! Previous articleBuild a yard tool organizer from PVC! Next articleTurn wine bottles into gorgeous succulent planters! I think I might need to start buying clay pots. So I have enough for springtime!!! I have all the stuff, but I need the directions, I can’t get on Pinerest. Pat, here is what I found for you. 16- 4″ legs, 2 – 10″ body , 2- 8″ azalea pots for neck, 1 – 8″ reg pot for face. ALL pots are glue together with JB Weld. We tried lots of others glues but nothing held especially when watering the plants. For tails I used twine, dyed to whichever color if the horse. Thanks so much for sharing my horse’s! I also have a fb page with the instructions for those who don’t have Pinterest. I try to make instructions for all my flower pot creations. They are a great idea! If you’d ever like to share your work here, you can upload it yourself or email us and we’ll do it for you. What a project, I’m going to make one for my inside garden room… Love it. How do I find the instructions?